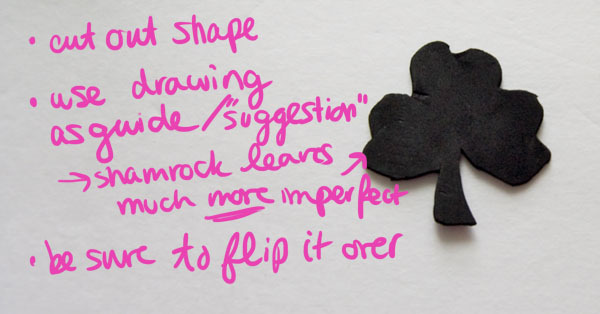 Use your pencil to draw the outline of your brooch onto the foam sheet. I opted for a shamrock shape for double the festivity. 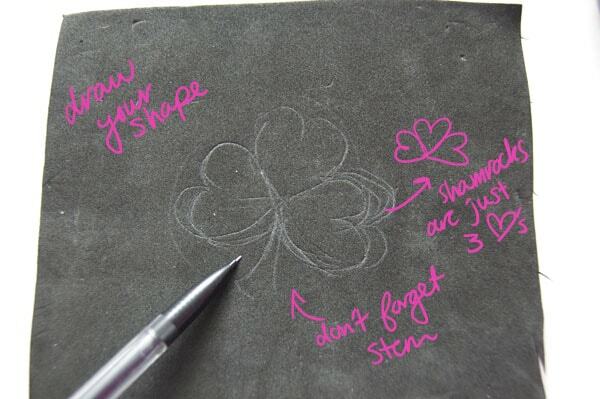 Shamrocks are easy to draw: they’re just three heart shapes right next to each other. Don’t forget the stem! Carefully cut out your shape. Pro-tip: although your hearts may be perfect, real shamrocks are not that shape. Use your heart guidelines to ballpark the outline of the leaves. 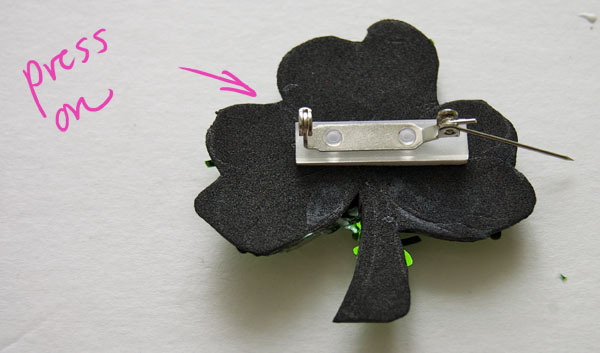 This will create a more accurate shamrock shape. 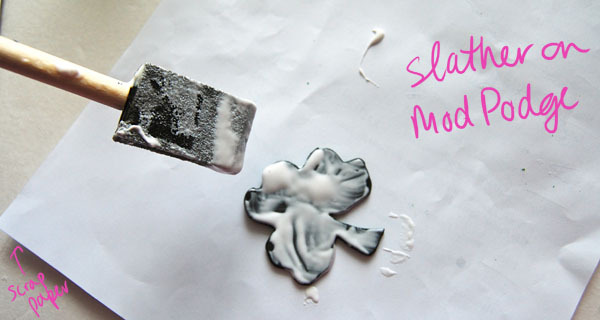 Apply a thick coat of Mod Podge (or any découpage glue/glue that dries clear) on the foam shape you just cut out. Remember to pour the glue on the non-marked side. Pro-tip: do this on top of scrap paper to protect your work space/for easy clean up. 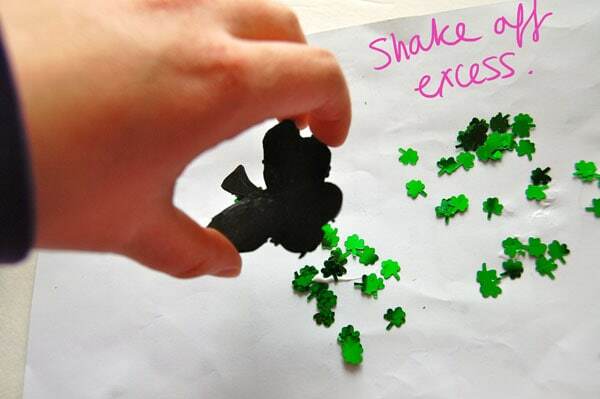 Pour the shamrock confetti on top of the Mod Podge-coated foam shape. Wait a bit to allow some of the confetti to adhere to the foam. 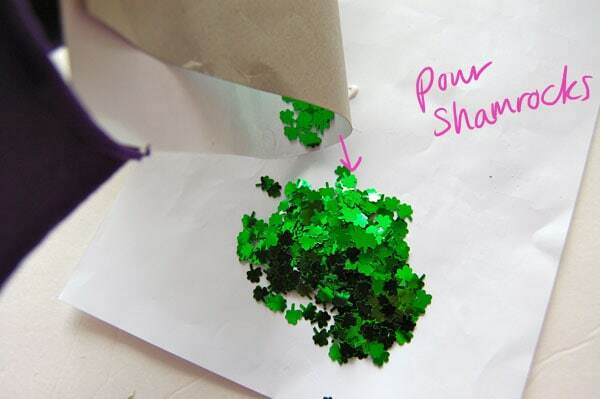 Carefully pick up the scrap paper and shake it back and forth to “knock” the of the excess confetti off the foam shape. Then, carefully pick up the foam shape, turn it upside down, and gently shake any excess off. Wait for the Mod Podge to dry. A good tell-tale sign that the Mod Podge is dry is when the glue is no longer white and cloudy but will be instead clear. The last step is to attach the pin base to the back of the brooch. 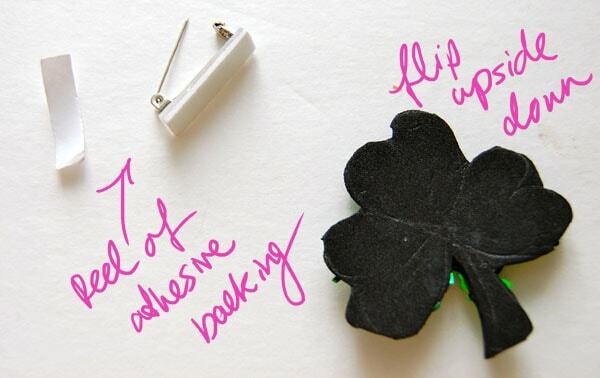 Simply peel off the adhesive backing, then press the pin base firmly in the center of the brooch. And voilà! 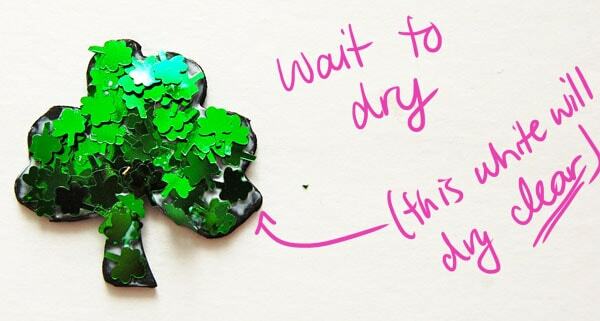 A perfectly festive Saint Patrick’s Day brooch. Wear it with all green, or if you’re feeling more subtle, pair with neutrals instead. Here, I pinned the brooch onto the collar of a simple t-shirt dress. 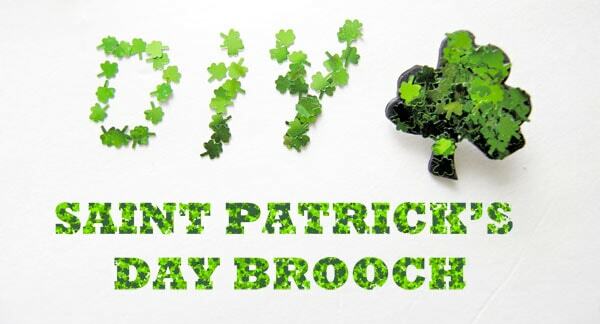 Do you love Saint Patrick’s Day or just holidays in general? Do you like dressing up for holidays or is that too cheesy and immature? What do you think of this DIY? 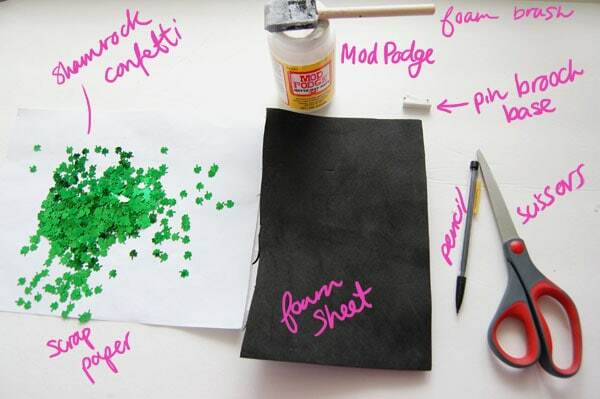 Are there any other DIYs you would love to see the tutorials for? Let me know in the comments!